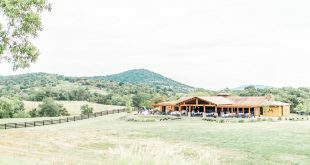 Located in Hume, Virginia, in western Fauquier County, the Marriott Ranch offers brides and grooms a unique wedding site with three different event venues available on their 4,200-acre working cattle ranch. With 25 full-time employees and a pool of seasonal workers, the Marriott Ranch averages about 24 weddings each year as well as scores of other events like company picnics, executive retreats and other social events. Not only is Stonewall Golf Club a beautiful setting and backdrop for weddings, but the longevity of their staff helps them excel in both service and satisfaction for each client. Salem Oaks Farm, practically a stone’s throw from lovely Middleburg, Virginia, is a working horse farm with approximately 20 horses. 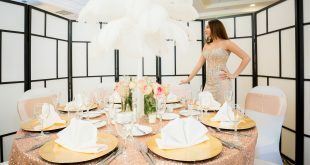 Looking for a dramatic venue without all the drama? 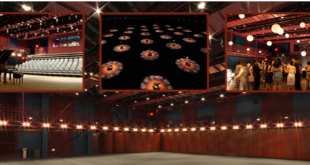 Hylton Performing Arts Center located in Manassas is the place for you! Miranda looked like a beautiful, bold, red-head with a soft look in her photos. The shoot took place at "End of the World" in Edmonton, and the sun was slowly setting, leaving the bride with beautiful, warm light, which is super unusual for the winter months. Her champagne-colored skirt was glowing and flowing in the wind, while her bold make-up completed the vintage chic look. Northern Virginia brides have a plethora of beautiful wedding locations to choose from, but if you love to golf, the Chantilly National Golf and Country Club is a perfect choice. Located in Centreville, it features a gorgeous Ed Ault-designed golf course with a traditional par-72 layout as well as a fun practice facility which includes a chipping green, putting green, bunker area, and even a 275-yard driving range. 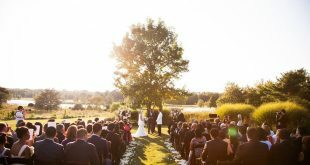 River Creek Club, located in Leesburg, Virginia, offers brides plenty of classic elegance. 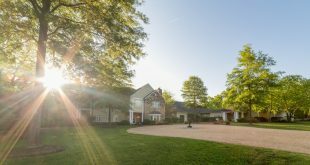 It offers over 600 acres of beautiful land with breathtaking views of the Potomac and, of course, a championship Ault-Clark 18-hole golf course. Weekend weddings at the beautiful Briar Batch Bed and Breakfast are truly a one-of-a-kind experience. Visit the property at 23130 Briar Patch Lane in Middleburg or online at briarpatchbandb.com. 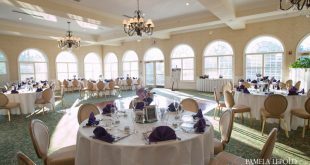 Less than a mile from the Reston Town Center is a hidden gem many brides may not be aware of: Hidden Creek Country Club. 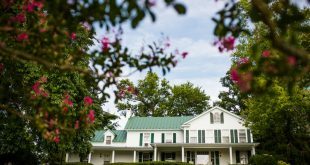 Hidden Creek offers what you’d expect from a country club, like an Ed Ault-designed golf course, but you may not expect the year-round possibilities it offers for brides and grooms to host their weddings. Danielle was a serious bride who held a lot of mystery. Tyler was an easy going man in love.